The reason? “Pet hair,” says Bruno, a lawyer in D.C. He and his wife had visited the Bay Area with her emotional-support animal, an Australian cattle dog named Sprite. If you don’t own a cat or dog, then you probably don’t give a second thought to pet hair when you travel. (The exception, of course, is if you suffer from pet allergies — then you’re likely to be hyperaware.) But it can be a problem for all travelers, even those who are without allergies or travel without furry companions. Beware of fees, says Kathryn McGinnis, an executive assistant from New York who travels with her pug, Garp. 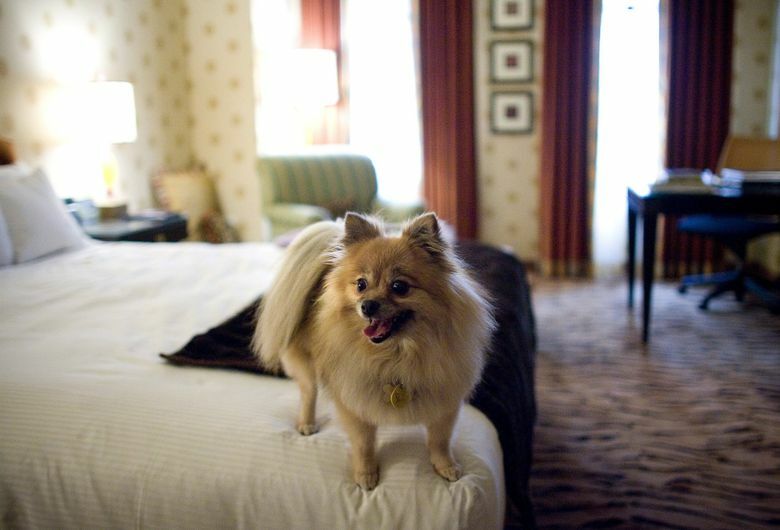 Hotels and vacation rentals that charge pet fees — usually between $100 and $200 per stay — are more likely to charge additional fees for pet-hair cleanup, she says. Hotel guests, car renters and vacation-rental guests can pay hundreds of dollars, even thousands, to fix the pet-hair problem. And, as my experience in Arizona suggests, you don’t even have to travel with a pet. But is the travel industry profiting from the pet-hair problem? From a pet owner’s perspective, it certainly looks that way. And if you’re not a pet owner and have to pay for pet hair, then definitely.